Optionally turn on the Client Portal, get approved for credit card processing and your clients can conveniently make their payments. Don’t want to use the Client Portal, no problem. We have streamlined cash receipts entry. 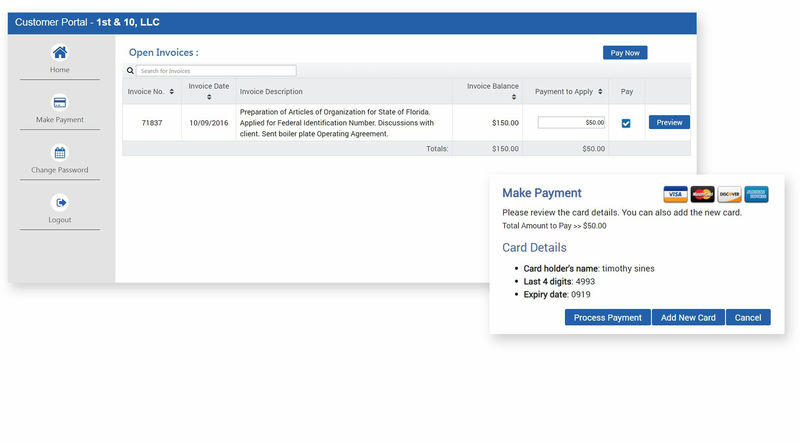 Optionally turn on the Client Portal and allow your clients to conveniently make payments. Don’t want to use the Client Portal, no problem, use our streamlined cash receipts processing. 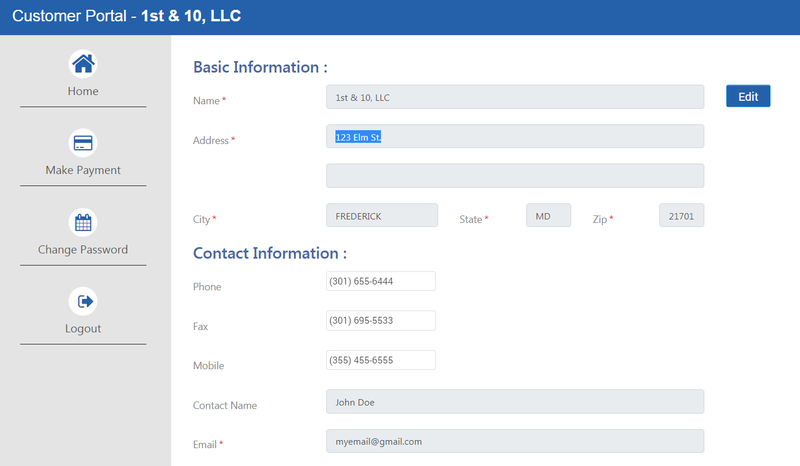 Your clients will see your firm name when logging into the client portal. With SSL encryption all credit card transactions are securely processed. Allow clients to update and change credit card files. Optionally allow editing of client bio information. Allow clients to review open invoices. Invoices can be previewed, printed and selected for payment. Partial payments are allowed. Receive email notifications when payments are made in the portal. Annotate what type of payment was received. Ability to handle Credit Memos and print the Credit Memo. Receive advance payments and apply during Manual Invoicing or in Cash Receipts Entry. If credit card processing is activated, credit cards can be processed during cash receipts entry.